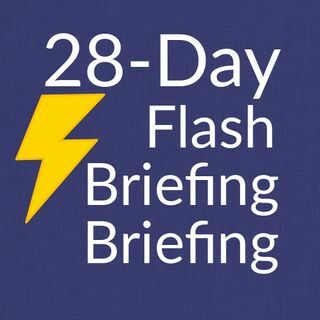 Flash Briefings are designed to provide short pieces of content to the customer as they go about their daily routines. They suggest that feeds should be no more than a few minutes long for an audio clip, about 1-2 minutes for text-to-speech (TTS). You are allowed up to ten minutes of content per Briefing, but think how people consume your content. And that has to do with what time they listen and in what room. We know that most Briefings are heard at breakfast and early evening, and that most ... See More people have the speakers in the kitchen, bedroom and lounge. People are busy at that time of day so need quick and concise content. That’s not just the duration, but the production and the energy and the speed of presentation. I’m not saying it should be shouty, but with verve and vitality, which along with a short duration will help engage.